Burej camp, Gaza Strip, Jan 17 2009.A surviving member of the family recites the Coran over the bodies during the funeral prayer in the local mosque. 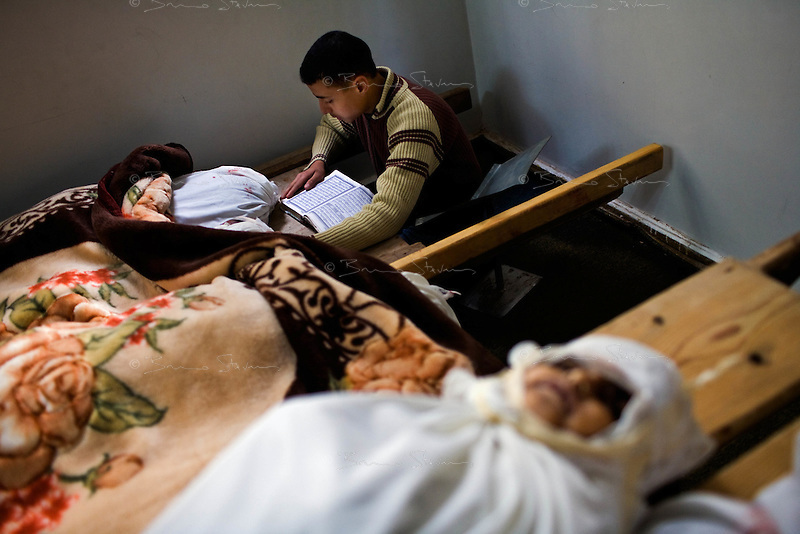 The wife and five children from Issa al Battran, a member of Hamas military branch were killed in an Israeli air strike on his appartment attempting to kill him. He wasn't home at the time of the attack, January 16th at 5PM. .